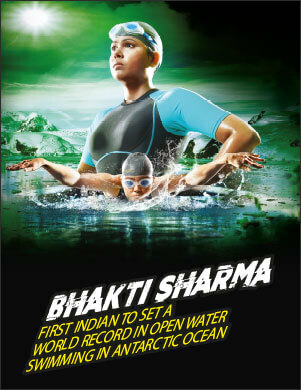 Bhakti Sharma is the first Asian woman and the youngest in the world to set record in open swimming in Antarctic waters. She believes that overcoming self-doubt is the first and the most difficult step on the way to making a name. Being a skydiver, BASE jumper, and a scuba diving instructor, Archana believes that adventure activities make you a strong and independent person. "If you know what you want to do and you are sure of it; please don’t let anything stop you." 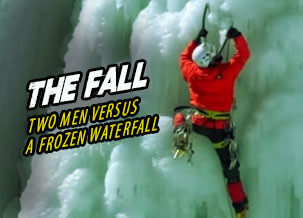 India’s first-ever free falling BASE jumper who pulls off the unthinkable. 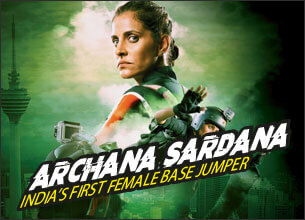 India’s first-ever female BASE jumper who never backs down. India’s champion swimmer who has conquered the Antarctic Ocean. Youngest Indian mountaineer to scale Mt. Everest, Makalu & Cho Oyu. India’s first-ever female Paralympic medallist with a ‘never give in’ spirit.